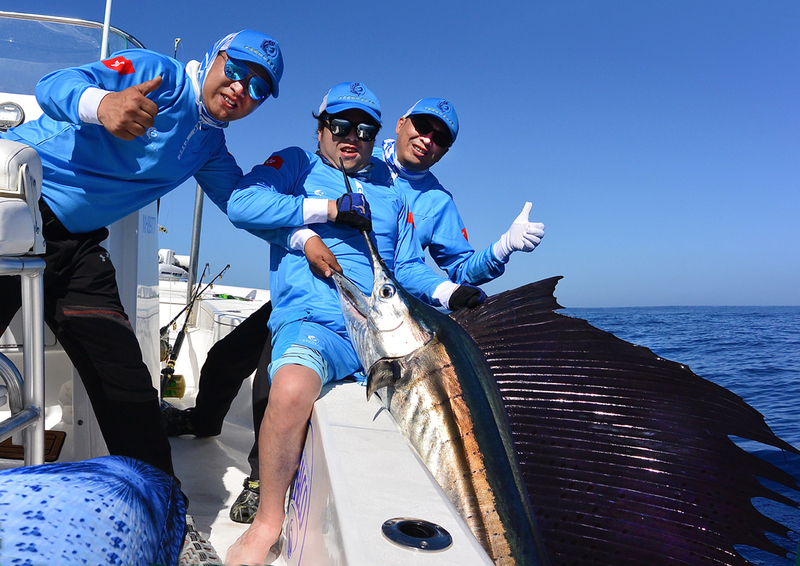 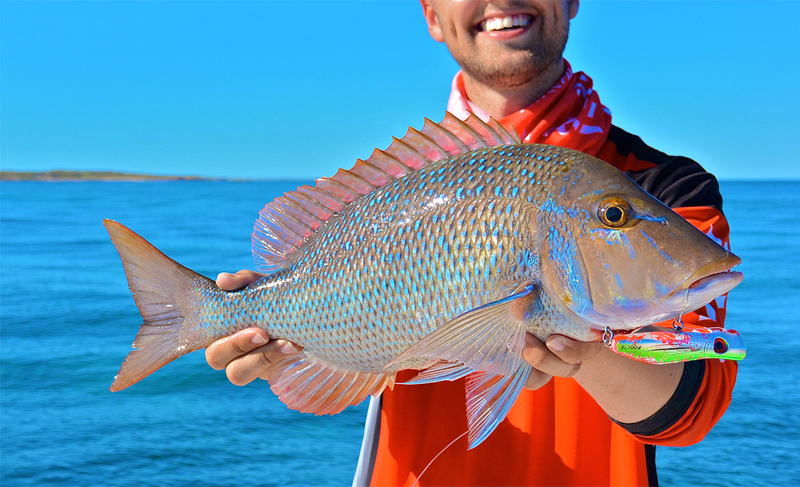 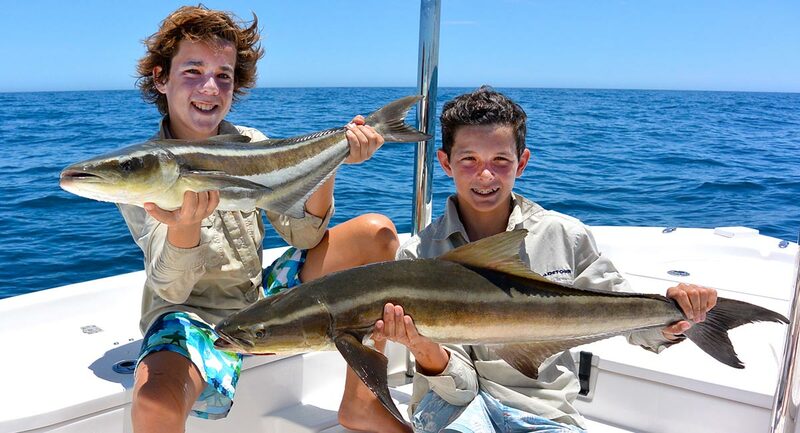 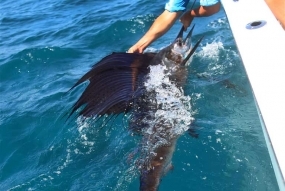 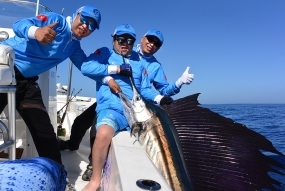 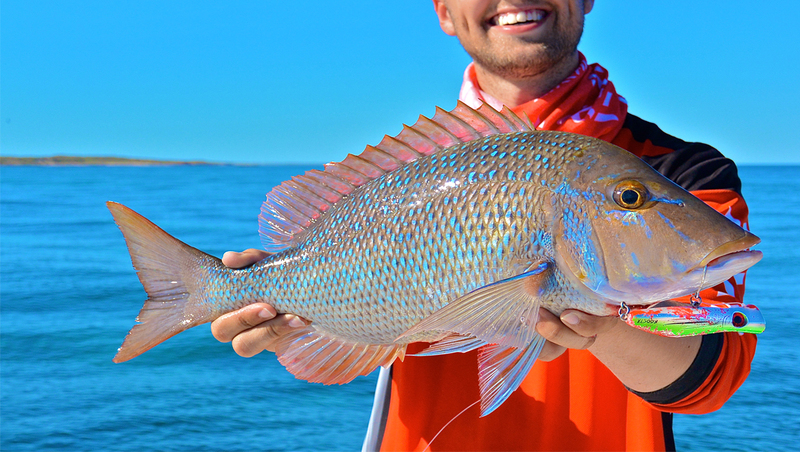 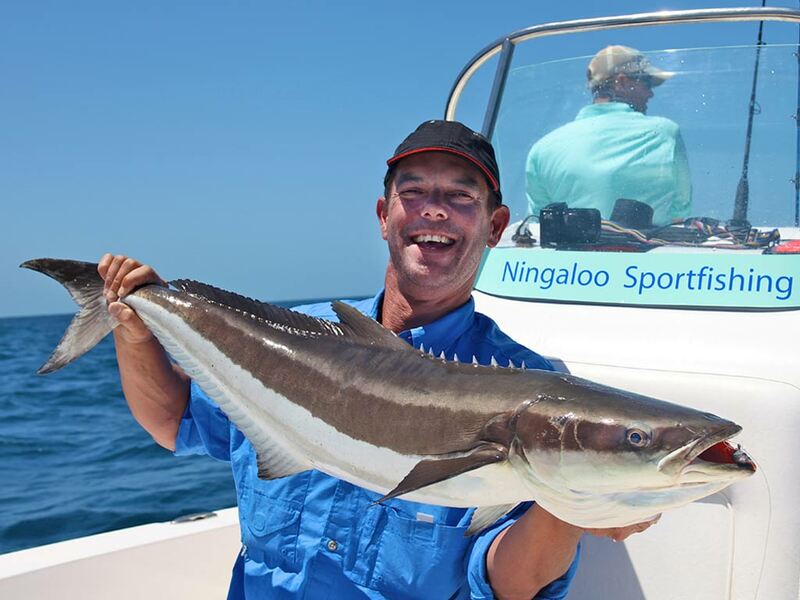 Ningaloo Sportfishing Charters offers the opportunity to fish the stunning Ningaloo Reef, which is a World Heritage Marine Park and the nearby Exmouth Gulf, which are home to over 40 species of sport and game fish. 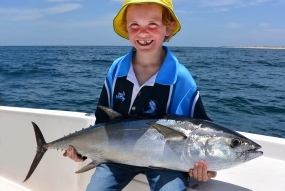 Exmouth is located approximately 1200kms north of Perth, in Western Australia. 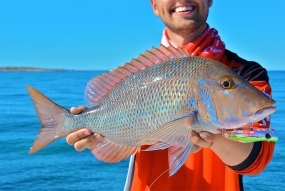 The towns marina provides access to a variety of target species within the Exmouth Gulf and nearby Murion Islands … or else, a short ride to the west side of the North West Cape Peninsular to fish Ningaloo’s fringing reef and the canyons beyond. 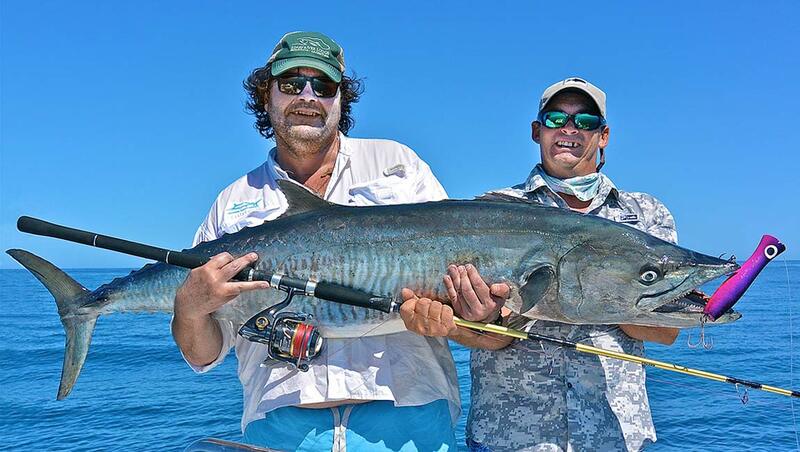 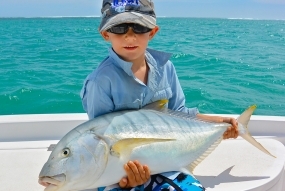 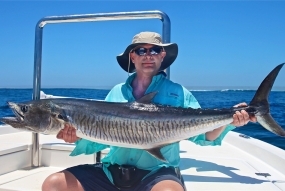 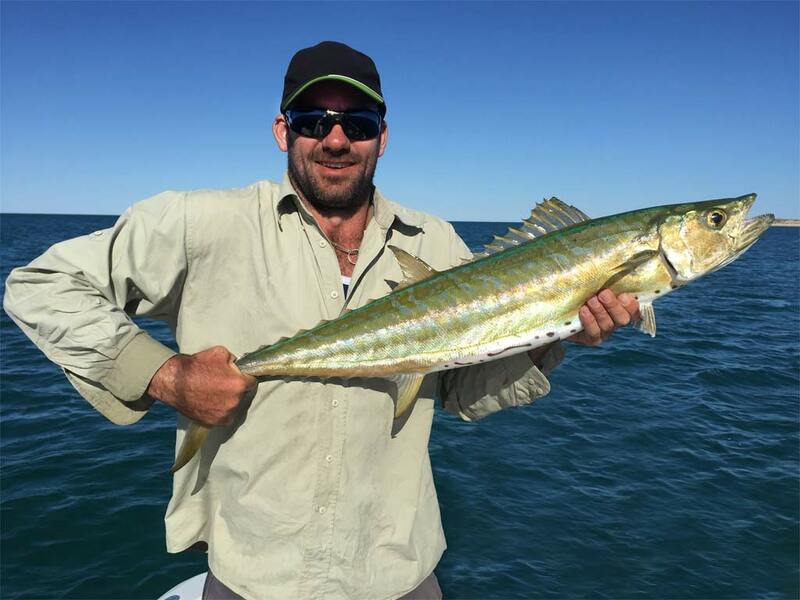 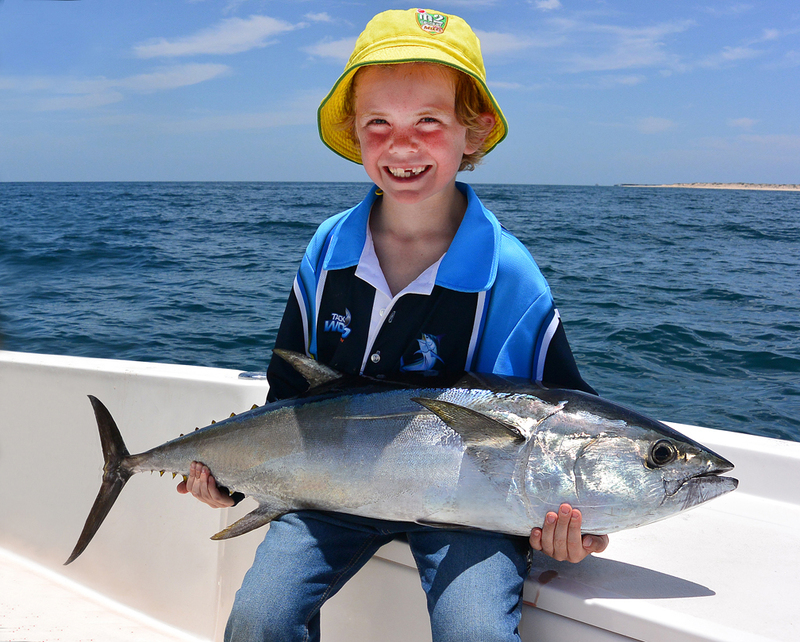 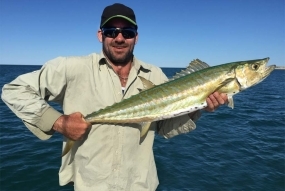 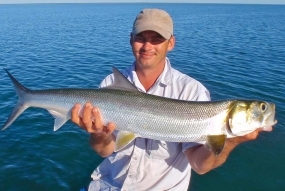 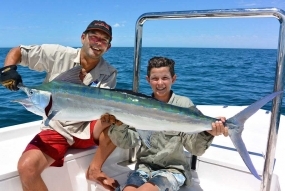 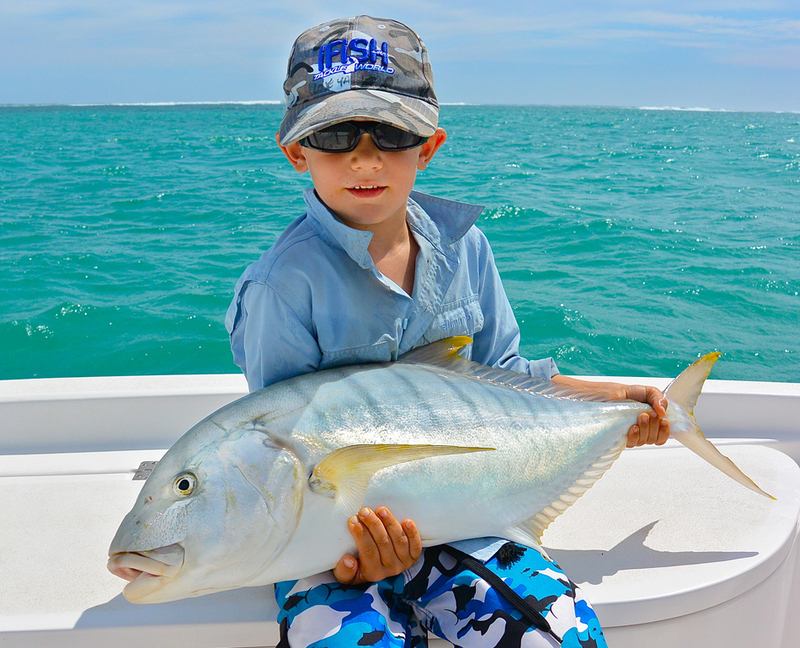 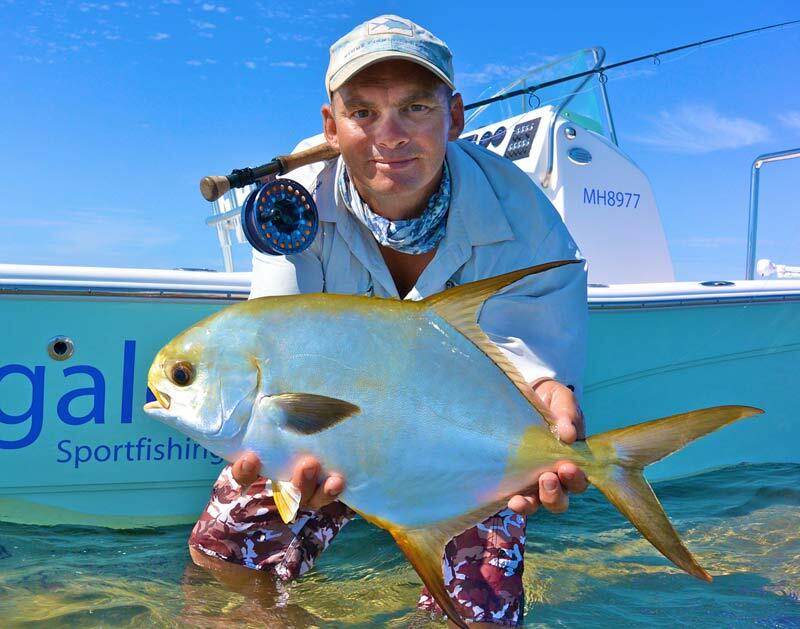 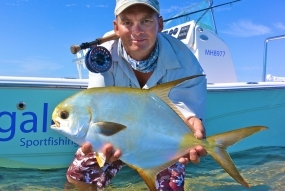 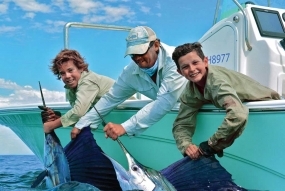 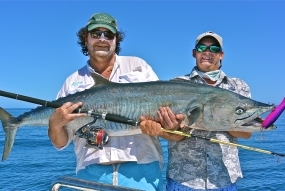 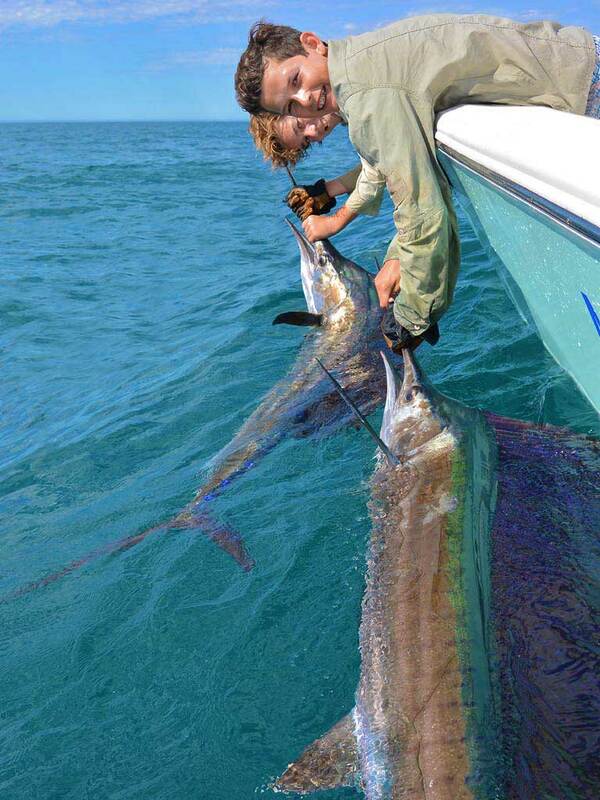 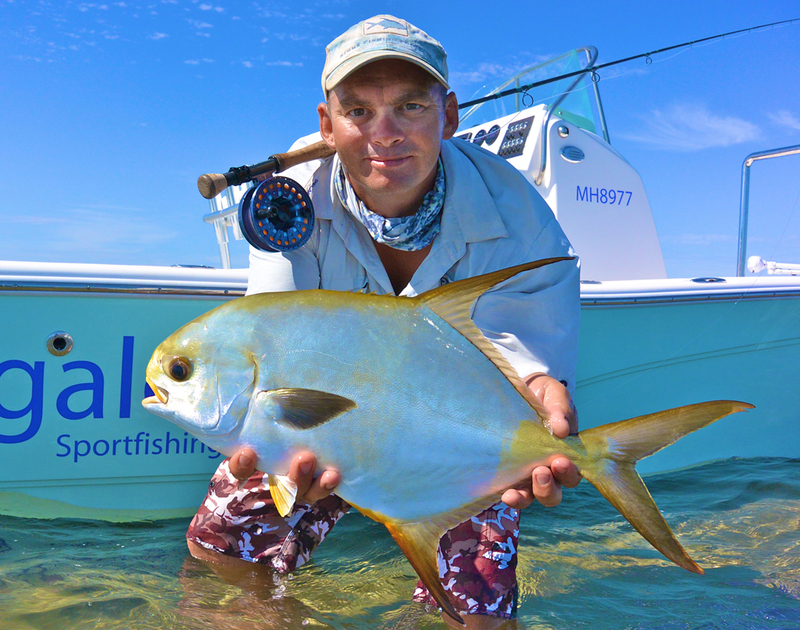 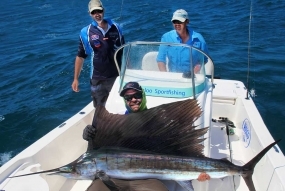 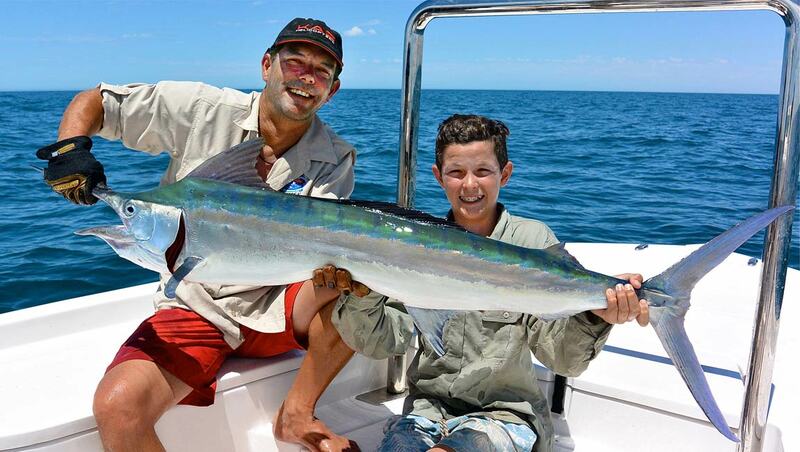 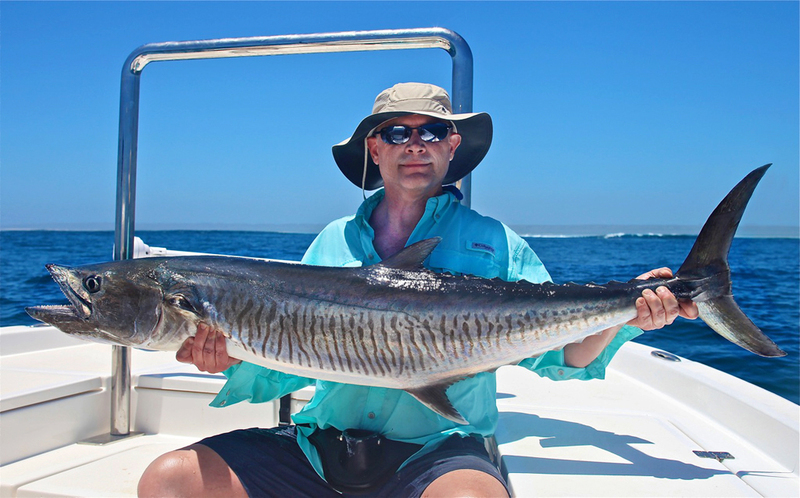 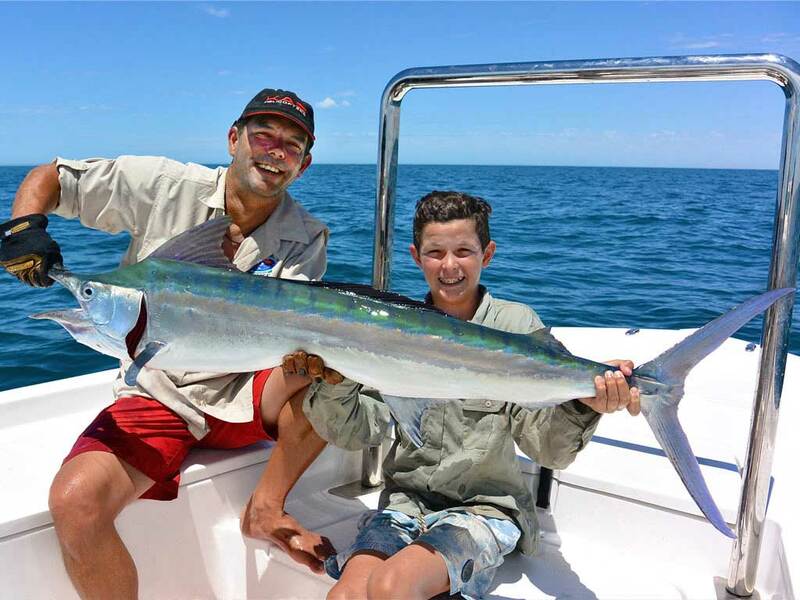 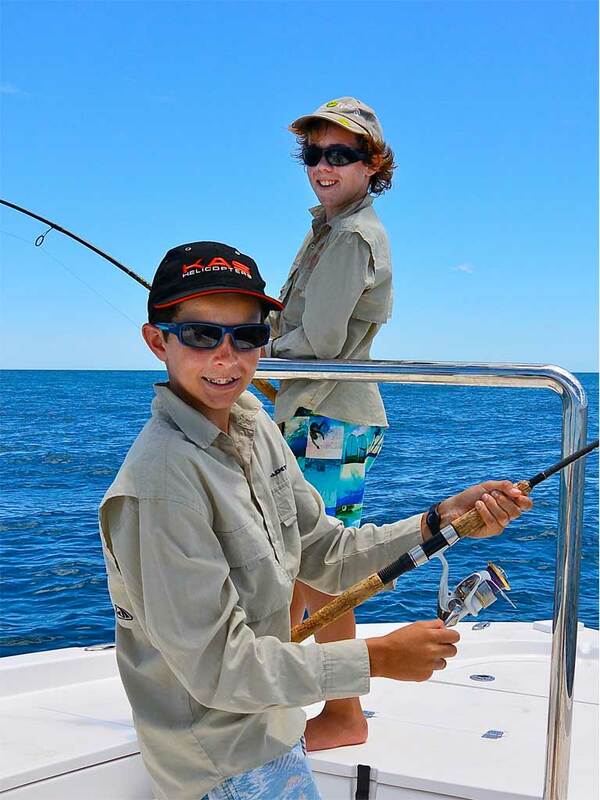 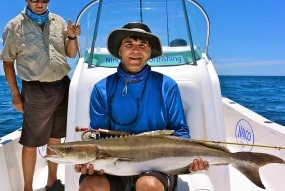 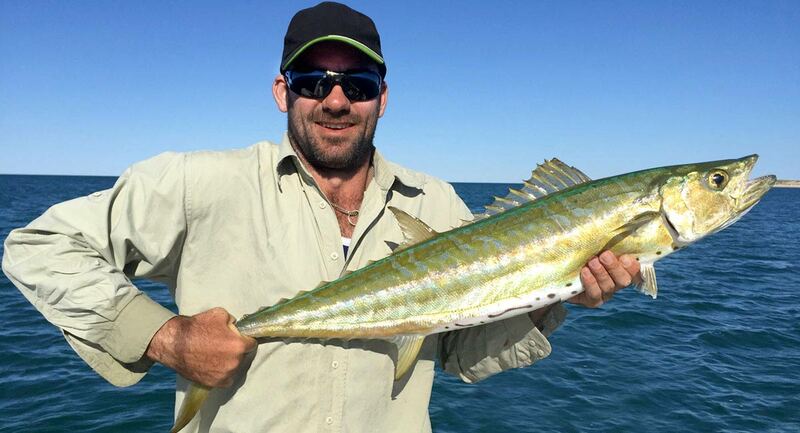 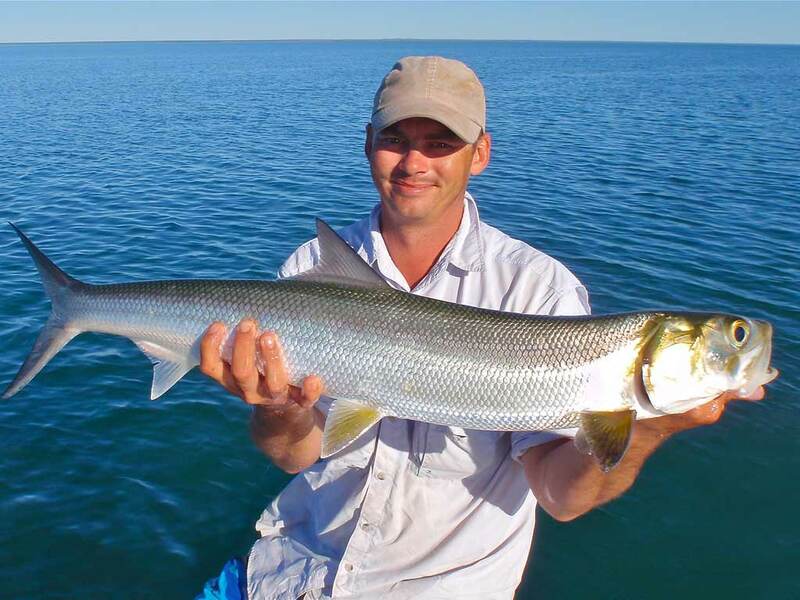 Ben has over 10 years experience fishing the waters of Exmouth Gulf and the Ningaloo Reef. 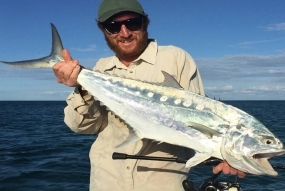 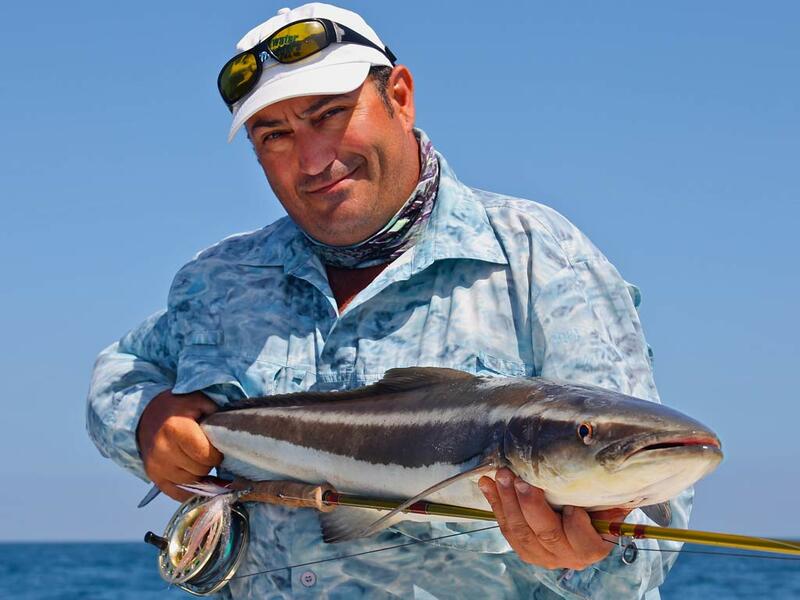 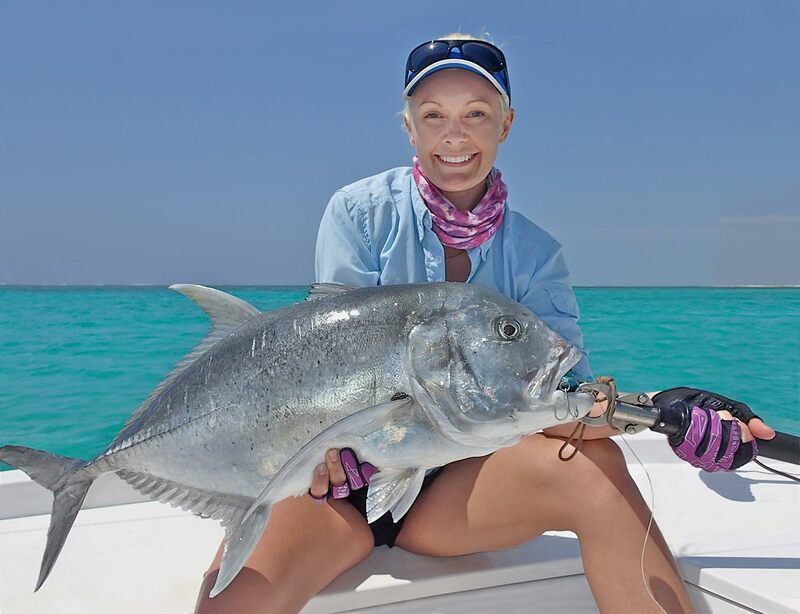 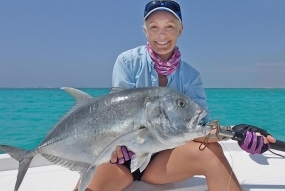 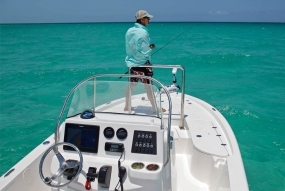 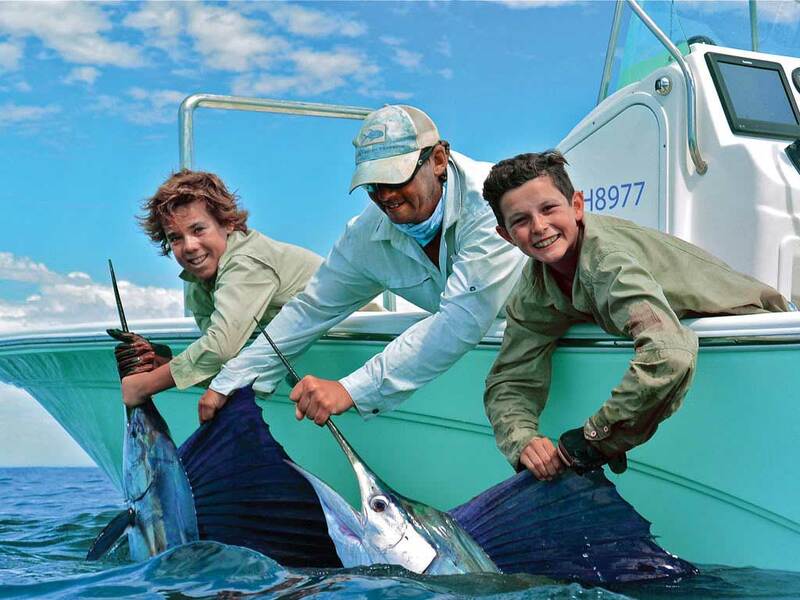 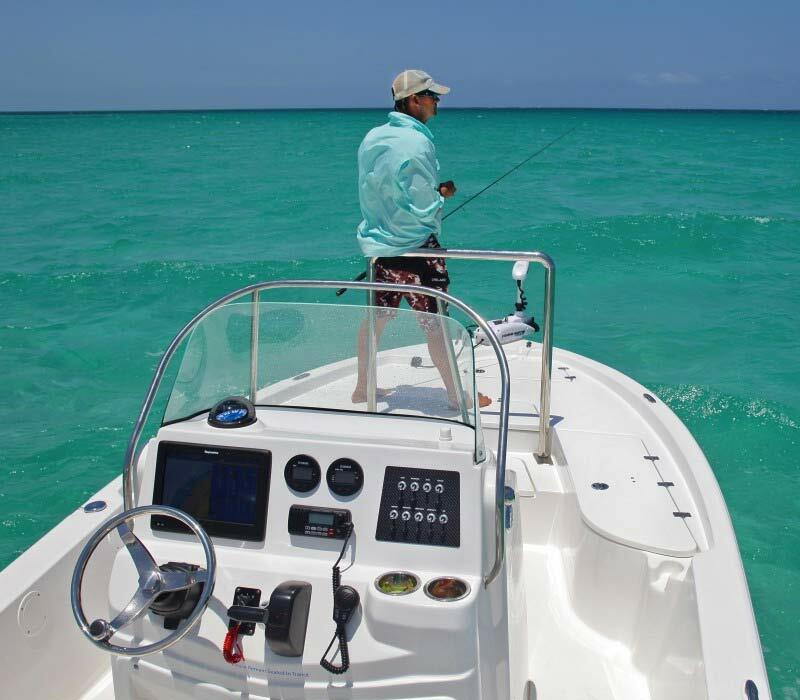 He specializes in guiding light tackle enthusiasts for trophy Bonefish, Permit, Giant Trevally, Bill fish and all other sports fish either by lure or fly in these pristine waters. 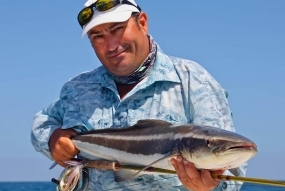 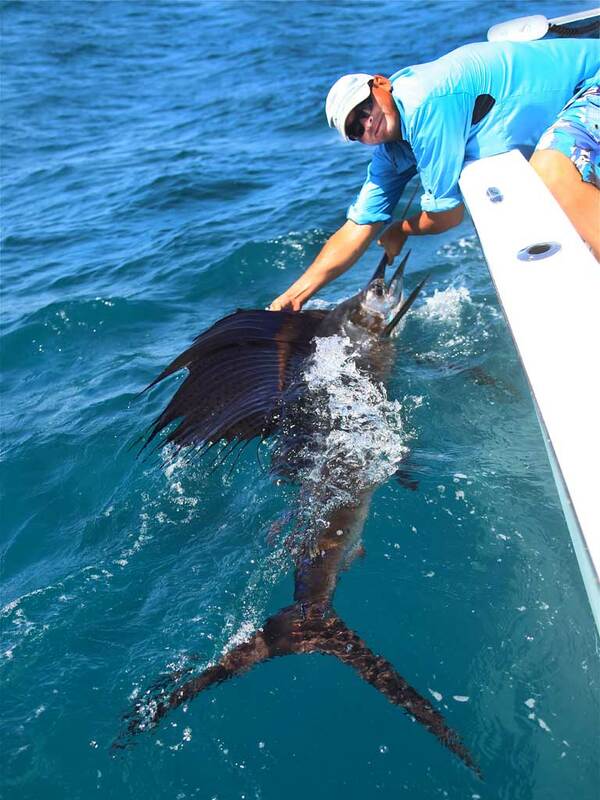 Two of the key characteristics that make Ben an outstanding guide, is his attention to detail and patience, whether it be teasing up a billfish, or stalking a target species in the shallows, all of which skills he shares during each and every guided fishing trip. 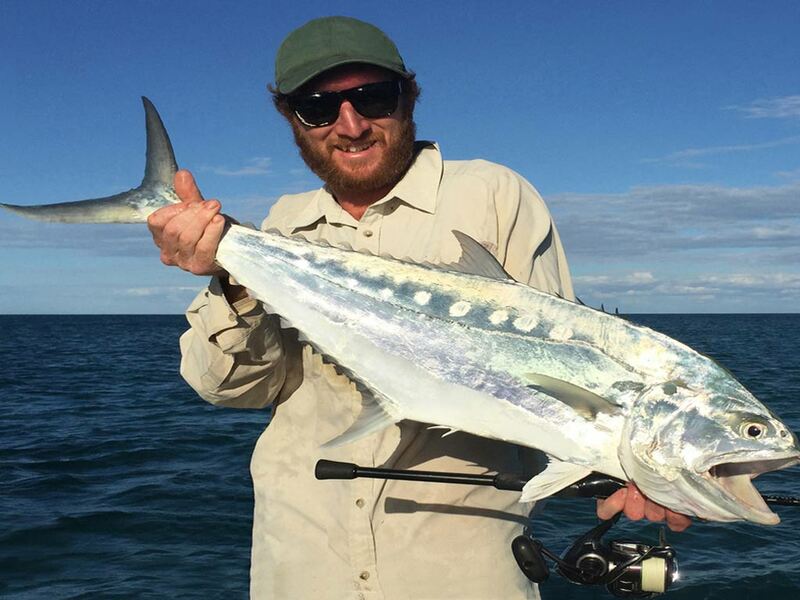 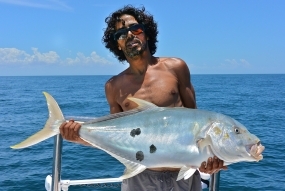 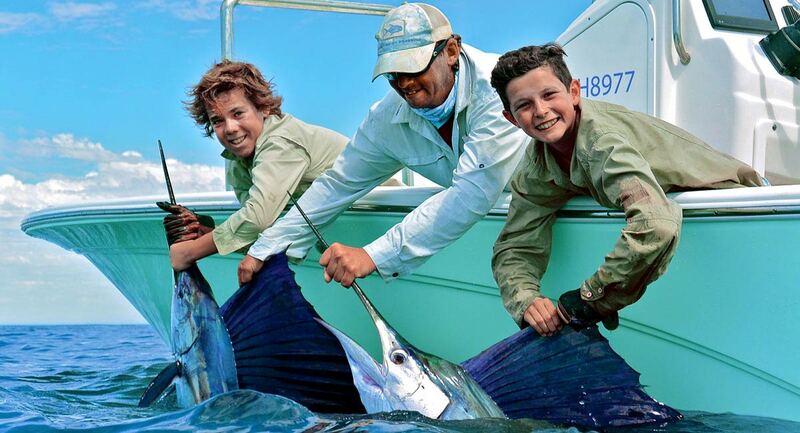 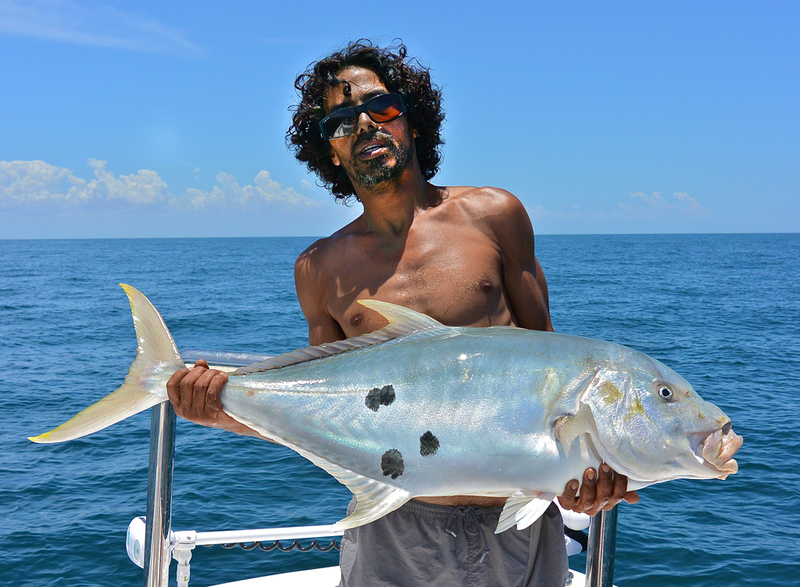 Ben’s list of accolades are testament to his talent and from the time you leave the jetty to the time of your return, his goal on every guided fishing trip is to maximize all opportunities for you to connect with the fish of a lifetime. 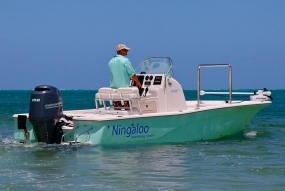 Ningaloo Sportfishing is a highly customised Sea Fox 220 Viper with a Yamaha 150 four stroke engine. 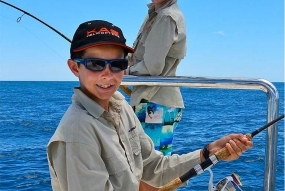 This boat is the only vessel of it’s class in Australia. 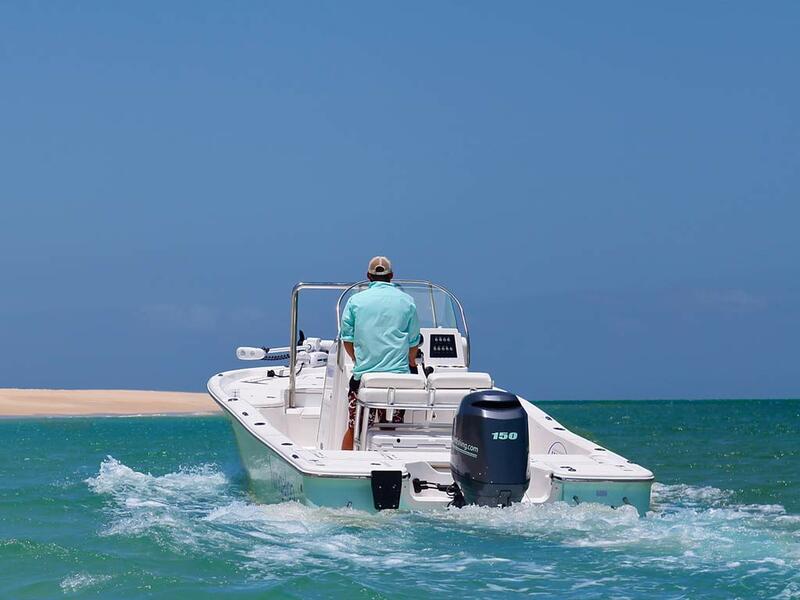 Built to the highest level, it has been certified to operate as an un-restricted 2C Survey vessel, so allowing access to waters in Australia that no other vessel of it’s type can reach. 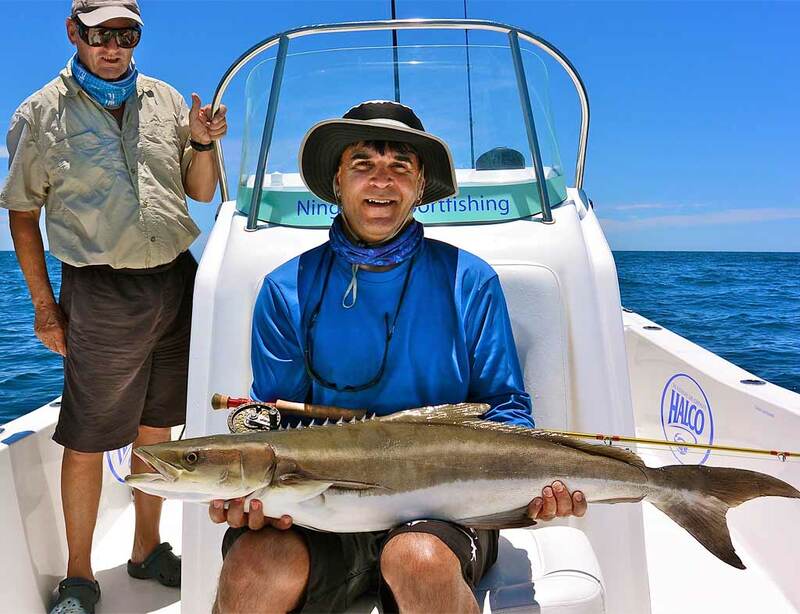 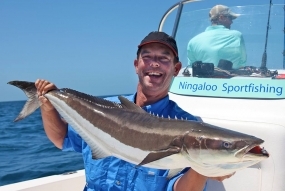 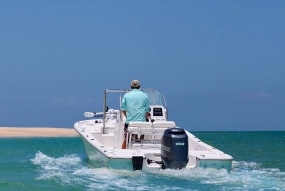 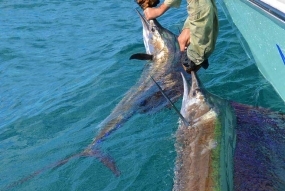 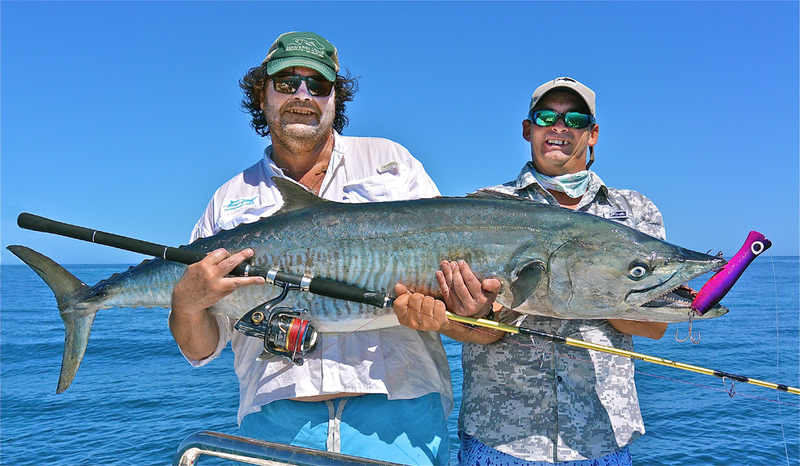 Ningaloo Sportfishing was designed specifically for lure and fly fishing, with fore and aft casting platforms, two live bait tanks and multiple rod and equipment storage lockers. 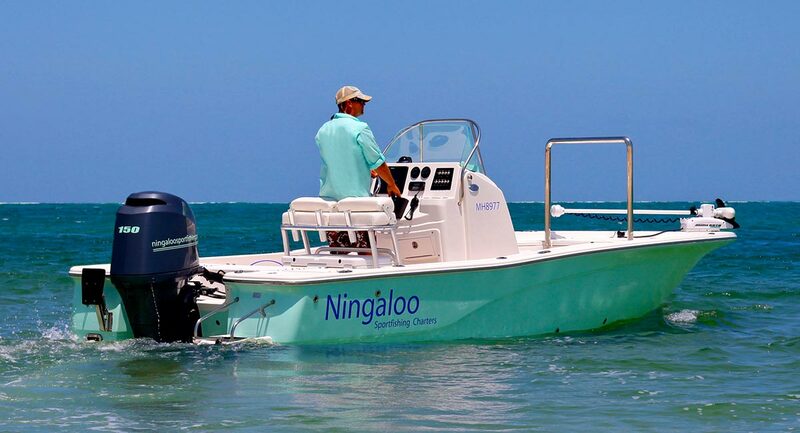 The vessel has specially designed fold down seating, for all crew and guests when traveling. 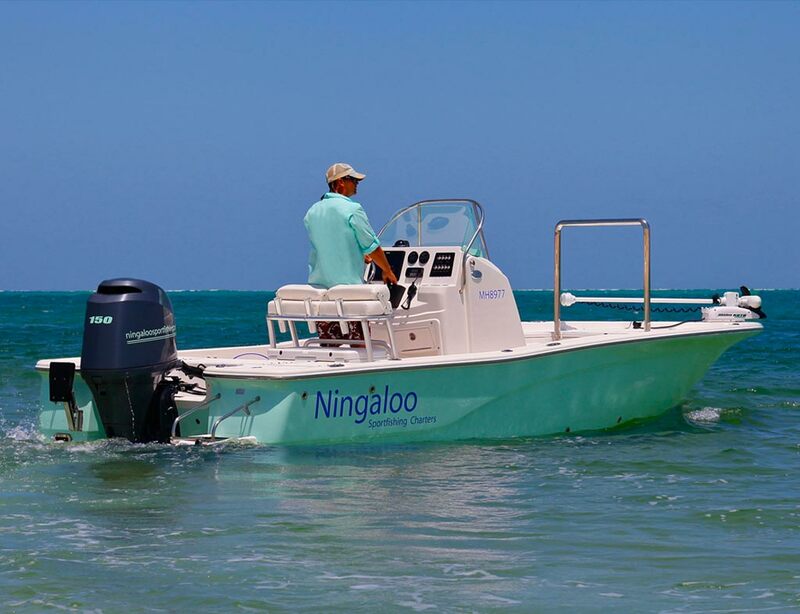 Ningaloo Sportfishing is fitted with the very latest touch screen Raymarine electronics, including Chirp Side Vision and Sat phone communications and with a powerful Minn Kota on the bow, the vessel can glide silently up on your chosen targeted species.